For the hunt has its own laws, does not forgive mistakes and places the highest demands on the binoculars equipment  exactly as we do. In the further development of the Nighthunter series, we set ourselves the goal of finding out the secrets of the night hunter. We have uncompromisingly united fundamental characteristics such as the highest possible light transmission, perfect carrying comfort, excellent robustness and long-term reliability in these hunting binoculars. For only the perfect synergy of all these factors gives the hunter the ultimate advantage at the decisive moment. The result of this exacting development work is the new Nighthunter Xtreme 8x56. 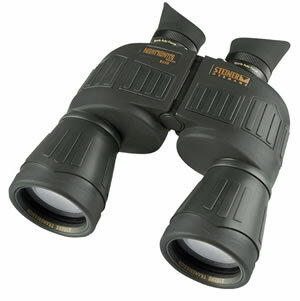 These night binoculars, due to the completely novel Diamond-Night-Coating, give previously unattainable light transmission over the entire colour spectrum. You will see, even at night or in the twilight, completely clear and bright images that have before now not been possible. Thanks to the Sports-Auto-Focus, the image remains crystal clear from 20 m to infinity  without refocusing. A big advantage, especially at night. This lets the hunter target even faster and more precisely and therefore forms the basis of more success in hunting. Unequalled readings over the entire colour spectrum give incredibly sharp and detail-rich images  at twilight, in the night and in bad lighting conditions.